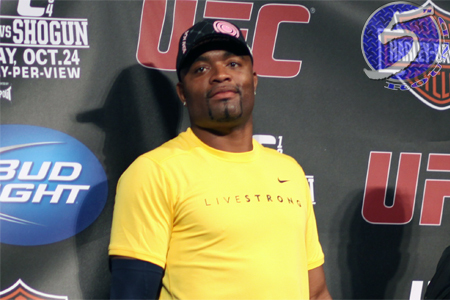 Simply put, former UFC middleweight king Anderson Silva (pictured) is a human highlight reel. In celebration of the UFC’s 20th Anniversary, the organization has been counting down their top 20 finishes. Silva took top honors for knockout and submission. That’s quite the accomplishment considering there have been thousands of UFC fights and he’s only competed inside the Octagon 17 times. Silva’s finishes are so great, I don’t even need to tell you which bouts they were and you could probably figure them out yourself. “The Spider” tore a page out of Steven Seagal’s book, apparently, to win KO honors with his unforgettable front kick to the face on Vitor Belfort at UFC 126. Silva’s Hail Mary triangle choke/straight armbar on Chael Sonnen at UFC 117 was the best submission.